Enjoy regular thoughts and ideas, in web-log form, from D. F. Lovett. Does Jonathan Franzen Know What SEO Is? Last week, Jonathan Franzen surely experienced a moment of sublime bliss when his name became a trending topic on Twitter. This occurred when Lit Hub (for the uninitiated, the apparent BuzzFeed of literature) published a listicle entitled JONATHAN FRANZEN’S 10 RULES FOR NOVELISTS with the vile and cringe-inducing subtitle NUMBER EIGHT JUST MAKES US SAD. The list appeared to be another stab at relevancy by the same desperate man who, in 2012, called Twitter “unspeakably irritating” and in 2013 bemoaned "literary novelists ... conscripted into Jennifer-Weinerish self-promotion”. The same man who, for years, has attacked what he calls technoconsumerism. In short, to see this listicle from him, in 2018, on the BuzzFeed of letters, was ironic. The internet gleefully mocked the man for it, with Lit Hub themselves turning on their latest content creator and publishing a round-up of the best japes and jeers that Twitter had fired at him. But this is not what I’ve sat down to write today. Plenty of people have written about all the ways in which Franzen is both a good writer and an irritating person. He seems to suffer from the same plights and insecurities as Elon Musk or Donald Trump: an addiction to approval accompanied by a childish rage when he does not get his way. What I’d like to write about, instead, is whether or not Jonathan Franzen knows what search engine optimization is. Briefly, what is search engine optimization? I hate to do this but there is a chance that someone reading this does not know what SEO is and so I must offer a brief description. My preferred definition of SEO is the following, which I wrote: the discipline of maintaining or improving a website or brand’s presence within organic search results. However, a more common definition of it is the following, lifted from Wikipedia: The process of affecting the online visibility of a website or a web page in a web search engine's unpaid results. Why would it matter if Franzen knows what SEO is? Immediately, this must seem like a completely needless question. One could ask a series of equally needless questions: Did Philip Roth know what Facebook was, before his death in May of 2018? Did Raymond Carver ever play Nintendo? Does Margaret Atwood own Bluetooth headphones? In this case, however, it’s fair to ask this question, because search engine optimization (or SEO) and Google are major themes in the Franzen’s 2015 novel, Purity. I first read Purity in the summer of 2017 and found myself continually baffled by the role SEO plays in the novel. The reason the question is worth asking, now, is because it’s hard to see Franzen’s re-publishing of his listicle for Lit Hub as something unrelated to his obvious concerns about his presence in Google and on social media. He dug up something he’d written in 2010 and, instead of cringing as he read it, decided to give it a new life on a website that had not existed in 2010. Later in this article I will explore the extent to which the resurfacing of Franzen’s listicle was, undoubtedly, an SEO play, whether he knows it or not. First, let’s explore the significance of Franzen writing a novel that features search engine optimization as a central theme. Before we go further, I should note why I feel qualified—and determined—to write about whether or not Franzen knows what SEO is: I do both search engine optimization and writing (in various forms) as my livelihood. 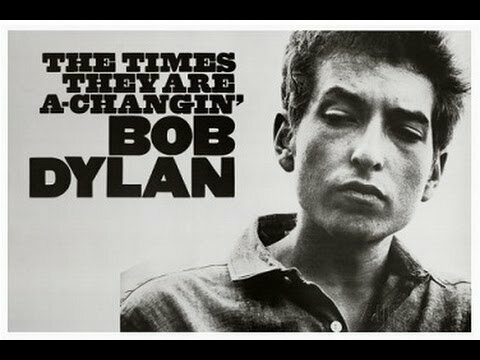 In 1964, Bob Dylan gave a piece of advice that no one has ever followed: Don’t criticize what you can’t understand. Now, this is something that happens in every aspect of society. People from the outside of something look upon it and judge it and criticize it. In the case of SEO, many people feel qualified and determined to write about it simply because search engines are an enormous aspect of society that everyone interacts with and (almost) no one understands. At this point, it’s worth discussing exactly how search engines—and, specifically, the idea of optimizing content and websites and brands for search engines, the idea of manipulating search engine results—play a central role in Purity. I’ll warn you, now, that spoilers lie ahead. That said, I assume that anyone who really wants to read Purity has already read it. If you have not read it and you are concerned with anything being spoiled, then go read the book and check back in once you’re finished. Only those comfortable with spoilers remain? Last call? Okay, cool. Let’s do this. Andreas then goes on to become an Assange-esque character, running an ostensibly “pure” Wikileaks-esque organization called The Sunshine Project, to which he recruits well-meaning young men and women. Among his recruits is Pip (real name: Purity), who does not realize that she is the daughter of Tom Aberant (the murder accomplice / only guy who knows about the murder) or that this unknown parentage is the reason for her recruitment to the Sunshine Project. The boys went to a windowless and heavily secured building beyond the goat pasture and wrote code there, while the girls hung out in the refurbished barn and did community development and PR and search-engine optimization, source verification and liasing, websites and bookkeeping chores, research and social media and copywriting. Yes, the above description of SEO and its trappings is deeply, deeply flawed, but we will return to that. First, let’s get through the rest of the role SEO plays in Purity before evaluating what he does and does not understand. By way of penance, she opened a search engine and did some belated research on Wolf and his project. Given the multitude of haters on the Internet, it was impressive how few hostile comments about Wolf she was able to find if she disregarded the carpings of die-hard Julian Assange defenders and the statements of government and corporations with an obvious self-interest in calling Wolf a criminal. Otherwise, in terms of universal admiration, he was right up there with Aung San San Kyi and Bruce Springsteen; a search of his name plus the word purity yielded a quarter million matches. A few pages later, she does yet another search, this one more specific and with far fewer results. It’s revealed, both directly and indirectly, that her search results—the lack of haters, the proliferation of positive results, the quarter million matches for Andreas Wolf + purity—were the result of the work of the Sunshine Project. With every different keyword he entered with his name in every different search engine, he was no longer content to read the first page or two of results. He wondered what was on the next page, the one he hadn’t read yet, and after he’d looked at the next page he found yet another page. Now it seemed as if the only task that meant anything was search-engine optimization. Once he was up and running in Bolivia, he created a small team of truest-believing hackers and female interns who performed SEO by means both fair and foul...if—and only if—you had money and/or tech capability, you could control your Internet-persona and, thus, your destiny and your virtual afterlife. Optimize or die. Kill or be killed. So that’s the role of SEO is Purity: it’s a tool and obsession of one of the novel’s central characters, the obsession that drives him. It is, for him, a reflection of his personality. So… does Jonathan Franzen know what SEO is? Yes. Well, no, not really. Or, kinda. In some ways, he very much does. In others, not at all. It seems that Jonathan Franzen has an excellent understanding of the significance of search engines in contemporary society and the purpose of SEO to manipulate the truths presented by search engines. His characters—Pip, Tom, Andreas, Leila—all continually view search engines as sources of truth. Pip uses a search engine, early in the novel, to confirm the things she learned about Andreas to be true. Andreas, meanwhile, has used SEO to ensure that the things she would see and learn would be the reality he chose to reflect. In fact, I think Franzen’s definition of SEO is actually more thoughtful and meaningful than what many practitioners of SEO consider it to be. He never dwells on it as the discipline of driving users to a website using organic traffic. Instead, he views it as it increasingly is these days, something I’ve written about previously and mentioned above: the discipline of maintaining a brand’s presence in search engines results, rather than something limited to specific web pages or websites. The trouble, however, is that Franzen obviously has no idea how SEO itself works. At this point, I would like to say that I think Franzen does understand the purpose of SEO, while having little-to-no understandings of its mechanics, tactics, or strategies. Through this lens, the strong presence of SEO in the novel becomes deeply troubling. Content creation: The example from page 57 of Pip finding 250k results for “andreas wolf purity” is particularly enlightening, regarding what Franzen thinks SEO is. I have to assume that he imagines SEO is nothing more than cranking out so much content as to flood the internet with web pages that will rank for any given search term. Is this an accurate, up-to-date view of SEO? Absolutely not. Is he the only person who might think this? Again, absolutely not. Hacking and/or Blackhat Tactics: While he does not use the word blackhat at any point, he does refer to “truest-believing hackers”, all apparently the men in the bunker doing the tech work while the women are interns. Hacking can mean a thousand things in this world, from life pro tips to DDoS attacks to marketing strategies, so it’s hard to know exactly what Franzen thinks it is in this context. However, it’s safe to assume that he has no idea that blackhat link building is a thing, despite that that’s probably the one concept that could be extremely relevant to the Sunshine Project. Cutting deals with Google: Andreas’s disinterest in leaking information about Google is the part that most confirms, to me, that Franzen has no idea what SEO is and how it relates to Google. The idea that SEOs have to have a working relationship with Google is so thoroughly irrelevant that it betrays Franzen did zero research into SEO, to the extent that he does not comprehend the distinction between working with Google and working against Google. One might even suspect that Franzen, on the occasions that he does use a search engine, clicks the Ads immediately without having the slightest idea that there is a distinction between organic and paid results. So, yes, he doesn’t know how it works. Not the tactics, not the mechanics. He has surely never heard of an alt attribute, a title tag, a meta description. He knows nothing of nofollow links or anchor text. Not only is he unaware of semantic search, but he may not even know what keyword saturation once stood for. Perhaps the most frustrating element of it is his perception that SEO is something unskilled and non-technical, to the extent that it’s performed by interns who, like Pip, were themselves duped by SEO in the process of joining the Sunshine Project. All of this said, I do genuinely believe that Purity is an important work, maybe even a monumental one, in terms of what it means for the SEO industry. Yes, Jonathan Franzen does not understand how SEO works. Not even remotely. He decided to write a novel about it without understanding what it was that his characters were doing when they were doing SEO. But his understanding of the extent to which search engines form our realities is not something we’ve seen in fiction before. Furthermore, he uses SEO as a genuine plot point: a character is duped into trusting and believing in another character based solely on effective SEO, launching the events of the novel into motion. 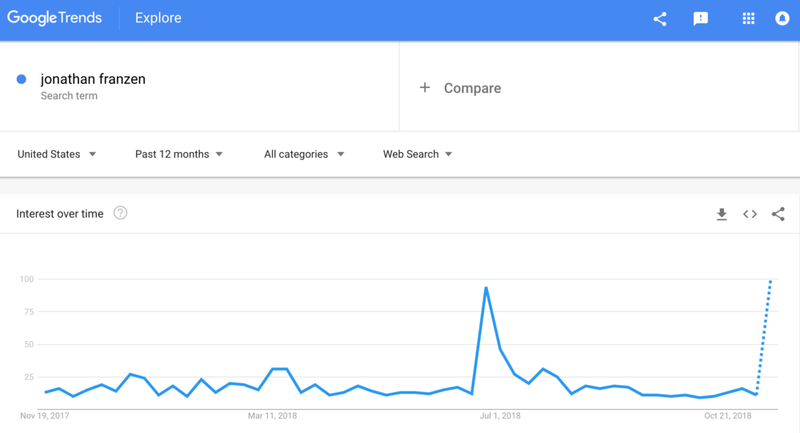 It also resulted in his name trending on Twitter, which in turn resulted in Google News filling up with articles recapping tweets, which in turn resulted in Google News filling up with articles about how no one needed to write articles about the tweets about the article by Jonathan Franzen. Had he not written (or, truthfully, republished, for the third time) this lowbrow listicle, the only thing you would see when you google “Jonathan Franzen” and click News would be a bunch of reviews of what sounds like a rather condescending, frustrating book of essays. Now, you see articles discussing him, attacking him and—something you almost certainly wouldn’t have seen—rushing to his defense against the hordes of commenters who would otherwise go unnoticed, had he not brought them out en masse. So yeah, Franzen doesn’t know how SEO works. Not at all. He probably thinks it’s a mix of Google bombing, cranking out content, straight-up hacking and paying off the bigwigs. He might not know how it works, but his understanding of SEO’s true endgame could be something for the SEO industry to learn from. Now… what will be the next work of fiction to use SEO as a central element of the plot?